Happy Track Tuesday! This morning I laced up my Skecher Go Run 3's, dropped Tucker off at Wilderness Survival Camp and brought Izzy to the track with me. This is a setback week but still had a little speed work mixed in there. Hot? Oh yes. But with my favorite Stable 26 socks and Go Run 3's, my feet were happy. Before and during my run, I made sure to hydrate with the Lemon Lime-Ade CLIF Shot. I was already a fan of Shot Bloks, so I was pretty confident I was going to like the Lemon Lime-Ade electrolyte drink mix. And I was right. Delicious. Light, refreshing. It definitely helped me pull through during a hot workout! The mix itself is made from 90% organic ingredients and is packed with sodium and other electrolytes to aid in absorption and retention. This packet did the trick. When I came home from my workout, I needed to refuel. 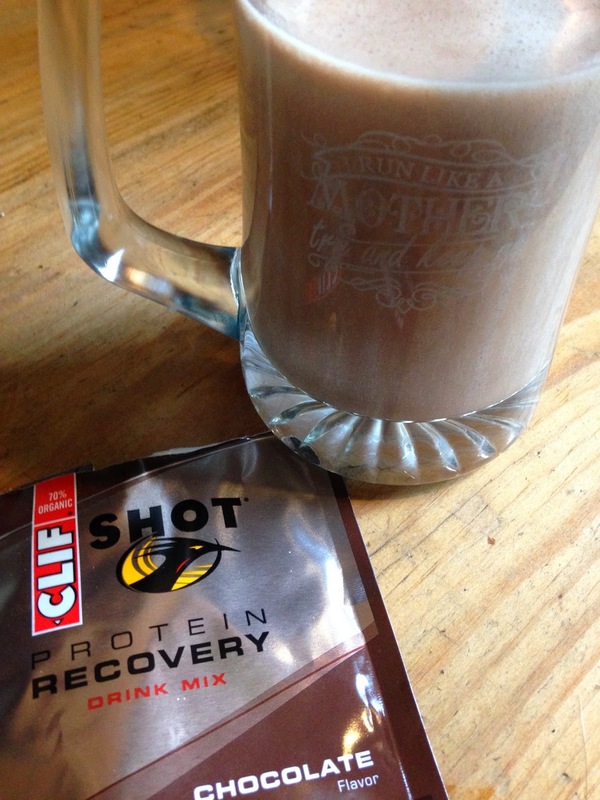 So I chose to try a CLIF Shot Protein Recovery Drink - Chocolate flavored mixed with almond milk. I thought this flavor was rich and satisfying. It didn't have that chalky taste some other powders have. It really had a chocolate milk flavor to it, which I love. 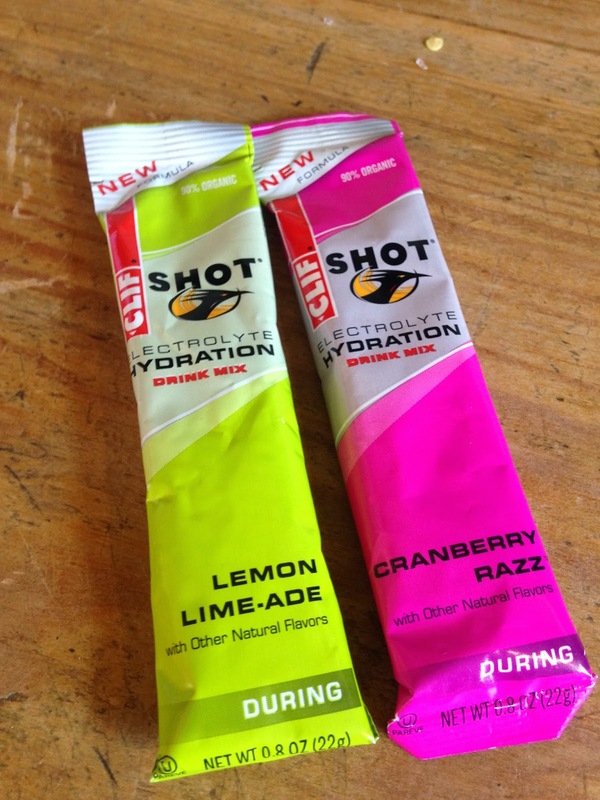 Have you had the chance to try out the CLIF Shot Electrolyte mix or the CLIF Shot Protein Recovery mix? Now is your chance!!! Enter below for your chance to win! Giveaway begins today and ends on 8/1. Disclosure: I received a CLIF Shot drink mix sampler pack for the purpose of a review. I was not required to write a positive review. As always, all opinions expressed on my blog are 100% my own. I would love to try the protein one!!! 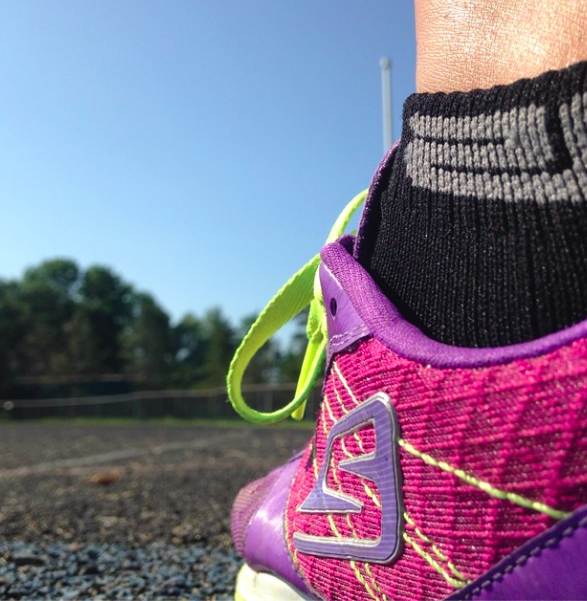 I use shot bloks on my long runs and love them :) :) The protein drink sounds perfect for post run recovery! My current favorite drink while running are the nuun tablets. I hate super sugary and syrup tasting drinks - so I usually have to water down my Gatorade. I don't have to water down my nuun, which I love. I haven't tried the clif drinks tho! I use Nuun and I don't really use protein drinks. I want to though. Easy meal replacement. I do love CLIF Shot Bloks! And I drink a ton of water and will use electrolytes when I run. My legs are happier! Yes to protein drinks, too. I drink electrolyte mixes after my runs but I've never tried these before. Would love to try it! I'm still dabbling a bit with hydration --- I've used Nuun and a few others. I'm not as good with protein as I'd like to be... every once in a while I'll stop on my way home to pick up a chocolate milk. But I'd love to get back into using protein powder more consistently! I like propel mixes (use them in all sorts of stuff), but I am always on the look out for more options! I really like Clif products. I haven't tried either of those particular drinks yet. I've been using NUUN lately - but I have to let it sit and totally de-fiz first. I'm still experimenting with different electrolyte mixes. I like Camelbak's tabs, NUUN and Tailwind so far. Nuun is my favorite way to hydrate! I'm a plain-old water girl myself but I do love adding protein powder to my smoothies! My favorite way to hydrate is usually just water or NUUN before/after a long run. I have never tried any Clif products though! I usually drink just water but on a really hot day or a day when I have put in an extra long effort I love to big glass of chocolate milk. I just drink water! I don't have the money to buy any protei shakes.. I would really like to try the products! I'm a Gatorade girl. I just love the taste, and it seems to satisfy my thirst better than anything I've tried. Water is #2. I tend to use Nuun as my hydration helper beyond water, though I've tried Cocogo and others. As far as protein drinks I have been drinking OmniFit and Core Power primarily. I generally drink just water. I would like to try these for longer run days.